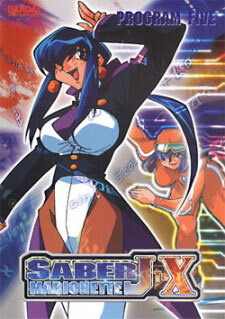 Watch Saber Marionette J to X Episode 9 English version online and free episodes. Anime Episode guide, Chapter Saber Marionette J to X Episode 9 English dubbed PHASE 09: The Forest, An Iron Ball, and Everbody Otaru and the girls have been asked to help build a playground, but Lime refuses when she finds out that they wish to destroy a forest in the process. While everyone else is preparing for this major construction, Lime and Gennai preapre to defend the forest alone.